Electrolysis eliminates unwanted hair PERMANENTLY with unsurpassed results! 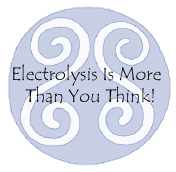 Why not let electrolysis work it's wonders for you? You’ll love your new look and your beautiful new self-image.